The City wants to keep the Made in America festival in Philadelphia beyond 2018, but it's unclear where it could go. Festival founder Jay-Z is disappointed in the move. Rapper Jay-Z criticized Philadelphia Mayor Jim Kenney over the decision to move the Made in America Festival off of the Benjamin Franklin Parkway. But Mayor Kenney says the entire thing was a misunderstanding. A Philadelphia Labor Day weekend tradition is on the move and founder Jay-Z isn't happy. The Made in America Festival will no longer be held on the Benjamin Franklin Parkway after this September’s two-day concert featuring Philly’s own Meek Mill, Nicki Minaj, Post Malone, Zedd and others. 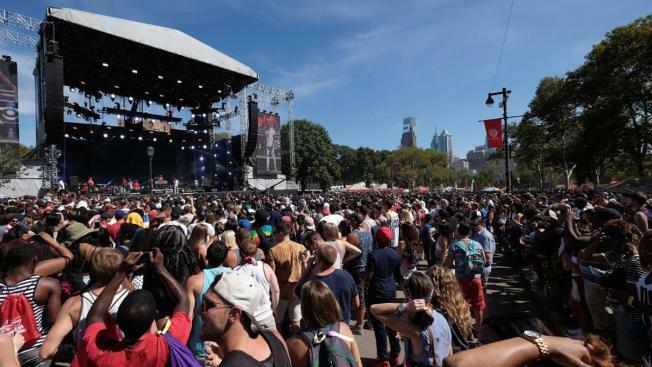 Philadelphia hopes to find another location within the City of Brotherly Love for the festival, which has brought artists from Beyoncé to Jay-Z to Kanye West to Coldplay to Nine Inch Nails, along with tens of thousands of concertgoers, to the Parkway since its first iteration in 2012. "We are discussing the festival’s future and alternative locations with the producers," Philadelphia communications director Deana Gamble said to NBC10. "We look forward to continuing a partnership." The festival was seen as a way to draw more people to Philadelphia, instead of the shore or mountains, for Labor Day weekend. But, some people living along the Parkway complained about parking and road restrictions put in place for the annual festival. Budweiser pulled out as a title sponsor before this year’s concert. Festival organizers Jay-Z's Roc Nation and Live Nation have yet to reveal future plans. In an op-ed penned for the Philadelphia Inquirer and posted to Philly.com, Jay-Z says he is disappointed "Philadelphia wound evict us from the heart of the city, through a media outlet, without a sit-down meeting, notice, dialogue or proper communication." "It signifies zero appreciation for what Made In America has built alongside the phenomenal citizens of this city," Jay-Z wrote while taking shots at Mayor Jim Kenney. Kenney responded to Jay-Z toward the end of a Wednesday afternoon news conference on the soda tax. "We are in discussion with the right people now and I'm confident we will work everything out," Kenney said. "We want to keep the concert. We want to maintain a good relationship with Roc Nation and we're going to work hard to do that." Kenney's predecessor Michael Nutter was mayor when the festival began. "How does an administration, merely discard an event that generates millions in income and employs the city’s people as if we are disposable now that we have served our purpose? The city is right, in one respect, the first Made in America festival took place when there was a great need for tourism," Jay-Z wrote. "By their admission, the festival first started as a 'unique attraction to the City on an otherwise quiet Labor Day weekend. Over the years, tourism has grown overall.' Our question is, 'How do you think that tourism grew, Mayor Kenney?'" Live Nation is siding with Jay-Z. "From Billie Holiday to Will Smith, Patti LaBelle, Jill Scott, The Roots and countless others, urban music is an indelible part of Philadelphia’s culture and history," Live Nation said in a statement to NBC10. "By handicapping Made In America’s ability to bring the best show possible to the best site possible, this administration makes a statement about how it values the arts and plans to protect and expand the city’s vibrant musical heritage."